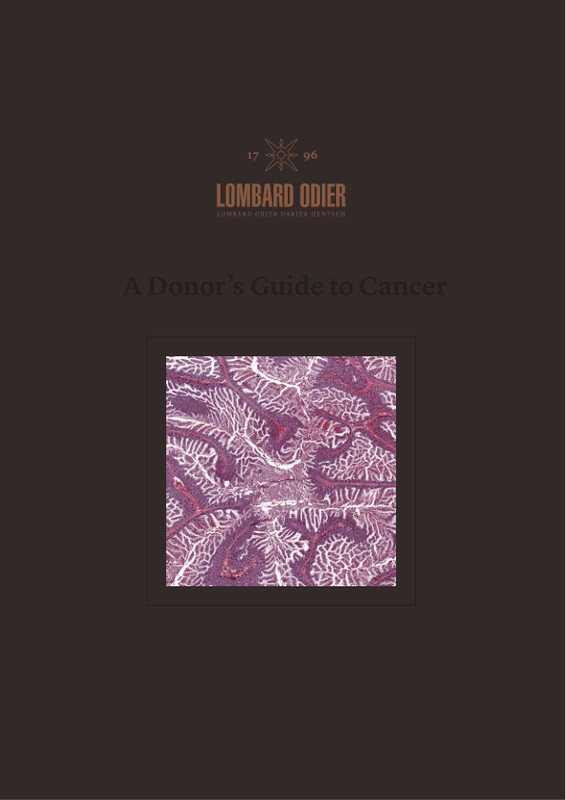 Initially published in 2013, this updated version once again reflects the relentless passion demonstrated by philanthropists and foundations, and highlights innovations in cancer care and treatment. Cancer is the second leading cause of deaths globally and is affecting more people every year. Over the past few years, both the Union for International Cancer Control (UICC) and Bank Lombard Odier have joined forces to raise awareness, facilitate engagement and funding in this field. We are proud of the progress we have made, separately and together, to increase the knowledge of cancer and its causes around the world. We hope that this guide, intended as an initial step towards improving comprehension of the challenges, can inform and inspire would-be donors to make their own meaningful contributions to address a disease which affects us all.